python,colors,opacity,scatter-plot,4d , How can I control the color and opacity of each point in a python scatter plot? 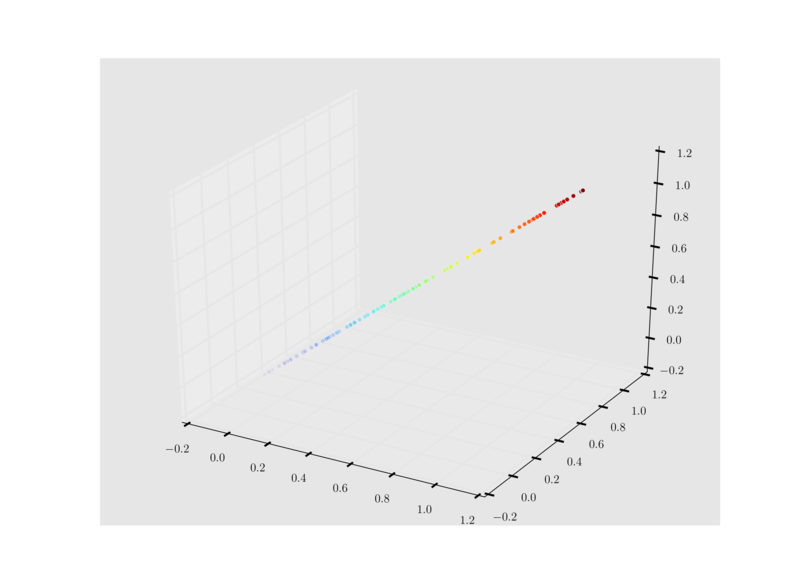 I'm looking to graph a 4D data set (X, Y, Z, intensity) using opacity to represent intensity. I also want the color to be dependent on the Z variable as well to better show depth. I'm thinking the color could be a linear relationship between z_list and a color map (hsv for example), and opacity could be linear as well, i_list/max(i_list) or something along those lines.